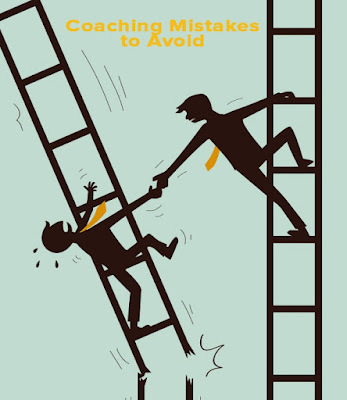 LSA Global Insights Newsletter: Top Coaching Mistakes: Is It Possible that What You Learned About Coaching is Wrong? 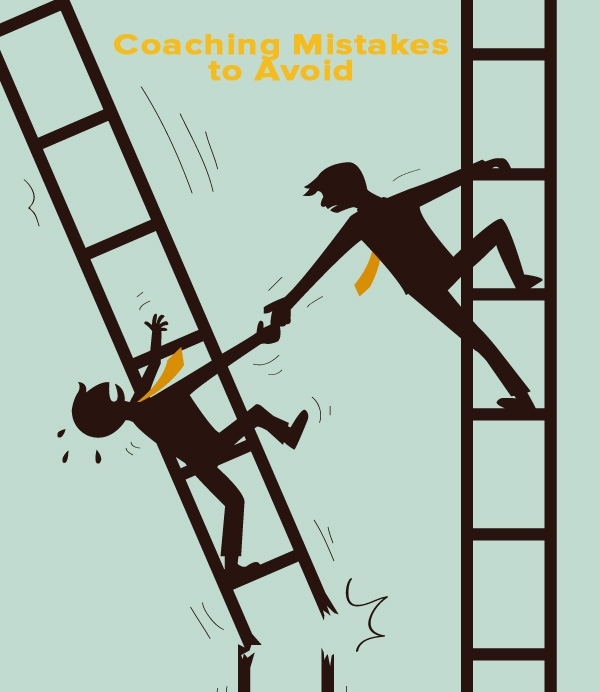 Top Coaching Mistakes: Is It Possible that What You Learned About Coaching is Wrong? For many leaders, the notion that coaching is an essential ingredient in improving performance is not up for debate. What if you could cut your coaching time in half and get better results? In our 20+ years of working with executives and front line managers, we've identified what we consider to be the top two mistakes that hinder effective coaching...mistakes that, if avoided, will greatly simplify the coaching process and minimize the time it takes to effectively develop your people. Who is responsible for improving performance? You or your direct reports? Obviously you are responsible for the overall results of your team. But are you responsible for each team member's willingness to improve? Change is difficult. It takes work. When an employee doesn't have the desire to do the difficult work required to reach a new level of performance, coaching is futile. Desire, not talent or skill, is the only ticket required to enter a coaching session. The responsibility of the coach is to be prepared and available. But if the person is unwilling to put in the effort to improve, what's the point? And that means more than just going through the motions. If that's all that happens, change will never occur. But you may be asking, "How do I know if the person is really willing to change?" This is an important question and highlights a gap in most coaching sessions. 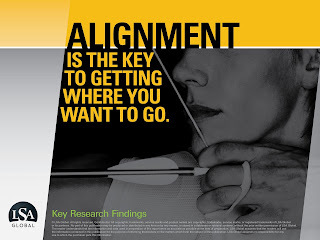 In a coaching session, the "fork in the road" is the clear action plan at the end of the session that ensures the person has a specific assignment to address specific knowledge or skill gaps. Unfortunately, most coaching sessions are little more than discussions about the previous call...with the manager offering a few tips and reminders on how to improve. While it is always helpful to review critical information, "talking" has very little impact on developing new skills and habits. For people to change, they have to "do." To learn to swing a golf club, you have to practice swinging a golf club. Talking about it simply won't help. It may help you choose the right club but it won't change the quality of your swing. Therefore, every coaching session should end with a clear plan to improve - a developmental activity - with an agreed-upon completion date and a specific goal. By drawing a line in the sand (what is required to improve) an employee's desire is determined. Their true willingness is exposed by their engagement in the assignment. This approach opens the door to a whole new way of thinking about where to invest your time. Assessing an employee's desire and embracing the idea that desire is a requirement for coaching, allows you to categorize your team members and develop an effective development strategy for each role. "LSA's executive coach based his approach on understanding our business circumstances and strategy, as well as our leadership aspirations. The customized coaching covered all aspects of leadership, it was not simply a touchy-feely endeavor. In fact, the focus on clear business outcomes and real life circumstances challenged me to develop my thinking and actions related to leading the business. The sessions were a great way to focus my thinking, gain insight and reinvigorate my leadership and impact."